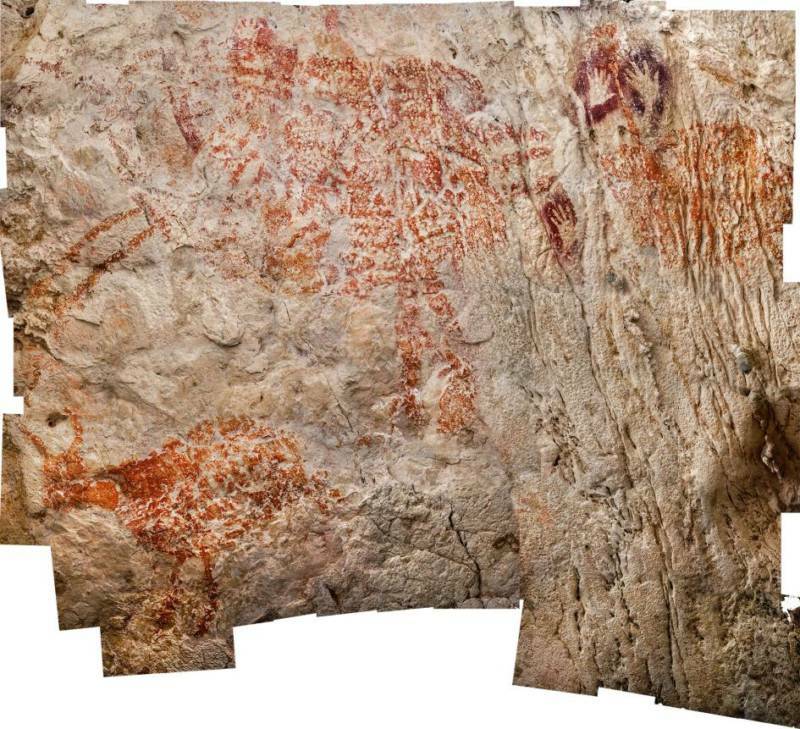 The trio of cows in a piece of cave art dating back at least 40,000 years. 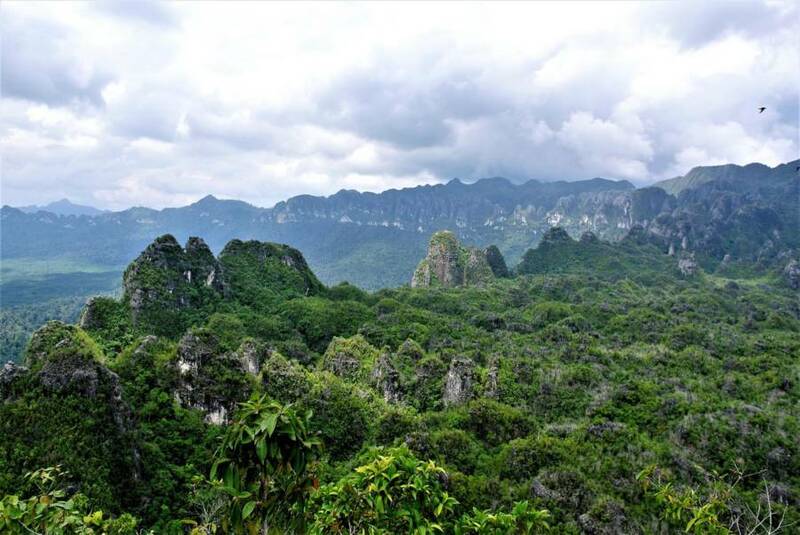 The mountains of East Kalimantan, Indonesia, on the island of Borneo where the caves are located. 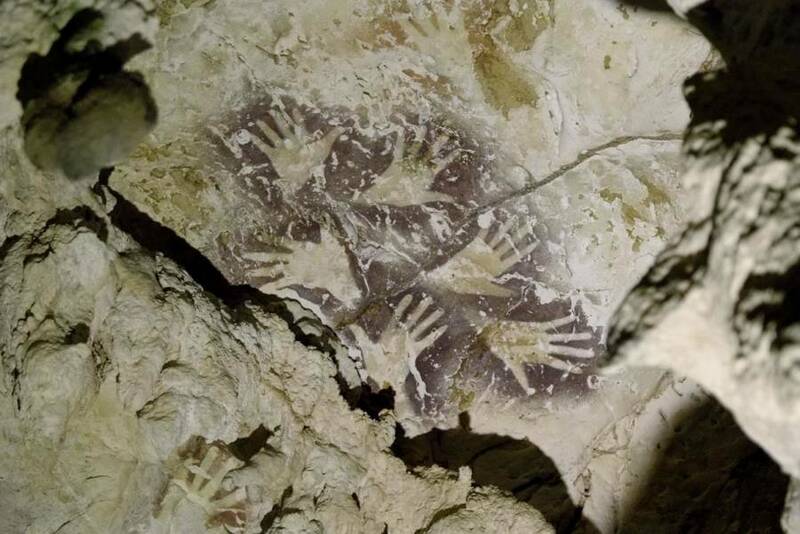 Mulberry-colored painted handprint outlines that cover a portion of the cave walls in Borneo. 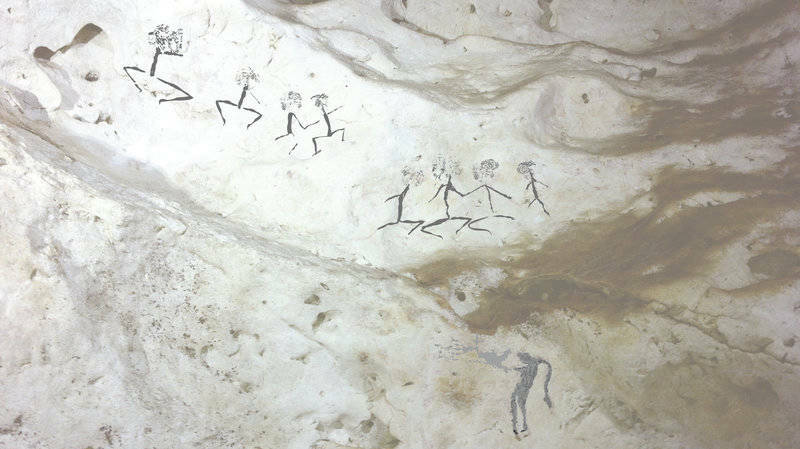 Paintings of human figures in Borneo that could be around 20,000 years old.